I am going to try and juggle three challenges for a few months. Since I was away in NYC over the weekend, I am combining two together. The NCC is doing neon manicures and my Facebook group ECOPOLO has weekly themes. This week was yellow polka dot bikini. So this is for both. The base is Illamasqua Scorch and the dots are Collide and Rare. 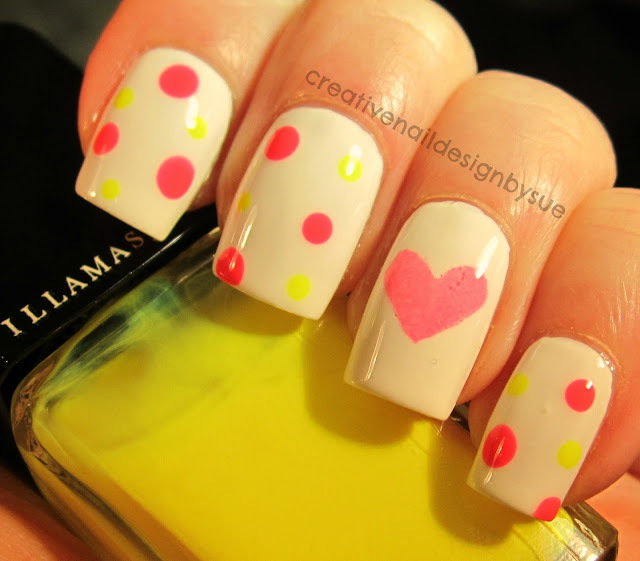 I love it, such a great mani! Cu~te! Is scorch a stark white?